Has a keen eye to spot potential talent to play at international level. Mohit Sharma was picked in the World Cup squad and proved to be an effective weapon Down Under. Dhoni saw to it that Mohit could play to his full capability and India reaped the benefits. Dhoni has never had a reputation to hold back his thoughts. 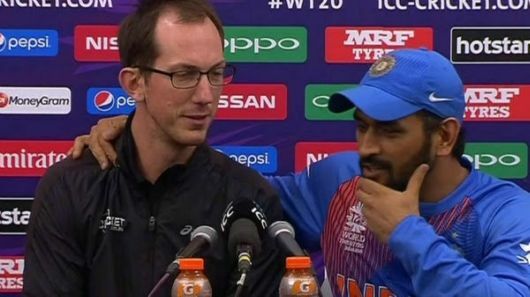 When a journalist asked him about whether he would retire after the 2016 World T20, he called him up to face everyone. MSD asked the reporter if he was still fit then why should he stop playing? Well, that's Dhoni for you, always calling it as he sees it. A leader's true mettle is tested when the team is not doing well. When the team was not performing on the tour to Australia in 2011-12, Dhoni came out and said he was one to blame for the bad performances. In the 2011 World Cup final, Dhoni promoted himself up the order ahead of Yuvraj Singh. Even as the asking rate looked to be going up, he kept calm and steadily guided India towards their first World Cup title in 28 years. During the 2014 World T20 semi-final he played out an over so that Virat Kohli could hit the winning runs. Kohli had done all the hard work to get India into a winning position against South Africa.